The Ethiopian Graduate School of Theology (EGST) new academic year 2018/19 officially opened on Monday, August 27, 2018. The event included prayer, worship, sermon, Holy Communion and welcome address by the Director. The Director, Dr Misgana Mathewos announced the registration of 210 students for the August-December semester and warmly welcomed both new and existing students. He further noted that EGST is a community of worshiping, learning and supporting in addition to academic rigor and advised students to nurture their spiritual live through worship and community services. 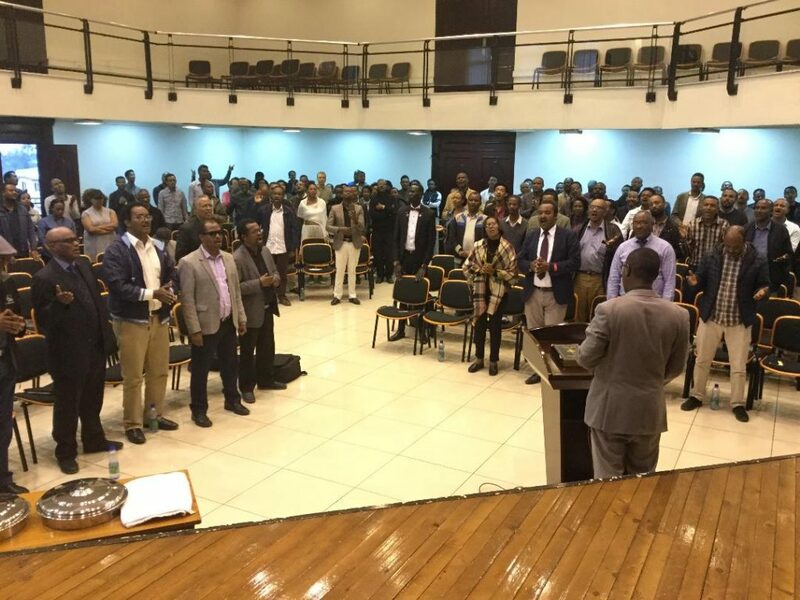 In his sermon to the event, Pastor Marid Lemma admonished EGST students to preach the gospel, live for it, and continue preaching after their graduation as the church in Ethiopia is lacking true men of God and spiritual integrity. Extending his message from the Epistles of Timothy, Pastor Marid called up on the students to flee from the evil, follow love, righteousness and maintain spiritual standards by submitting to the word of God. Holy Communion was served by Rev. Markos Hadaero, ex-Board member of EGST while Agegnehu Yideg presented praise songs. 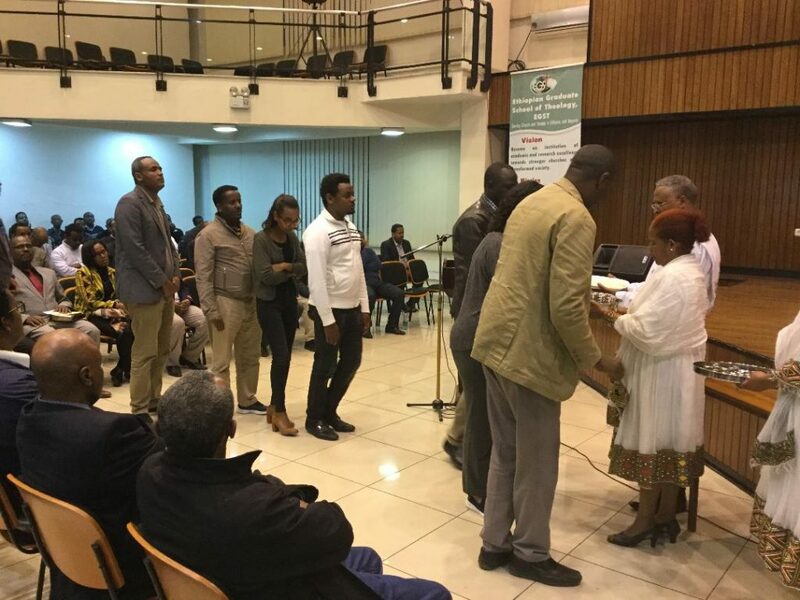 Gift collection was made by the EGST Students’ Council in support of juvenile offenders under government correctional administration in Lideta Sub City of Addis Ababa City Government.